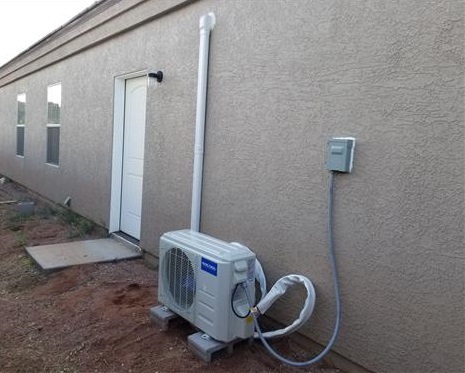 Do-It-Yourself mini-split heat pumps have become very popular since they work very well and are perfect for the Do-It-Yourself type person. 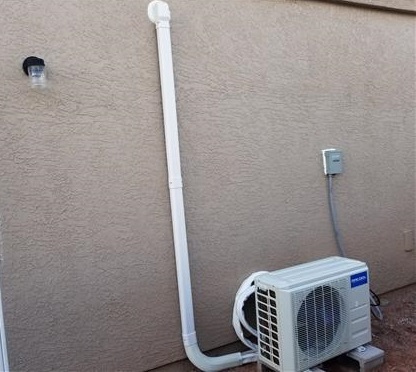 They save money since no HVAC company is needed and work very well at heating and cooling room additions, garages, or most any place heating and cooling is needed. MRCOOL is one such mini split manufacture that makes it easy for a DIY mini-split project. 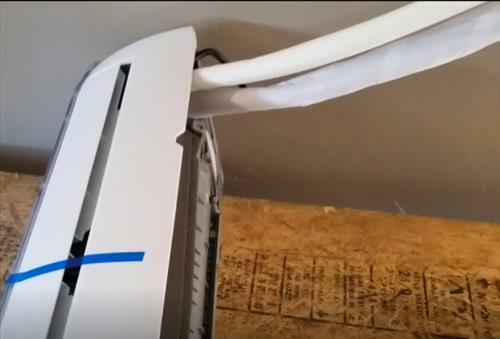 Recently one was sent to me which I made a video of installing along with this post. The video is at the bottom of the page for a visual walk-through. One of the things that makes MRCOOL units different from other mini split kits is there is no need to vacuum down the lines. 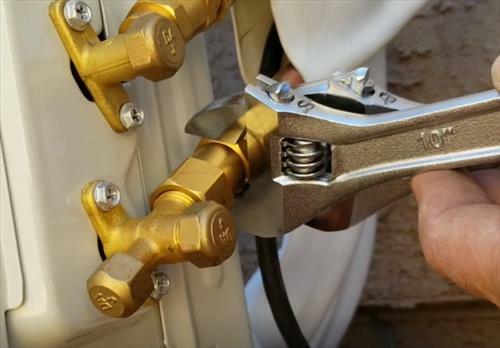 Most units need a vacuum pump and gauges to pump the line-set down before releasing the refrigerant. 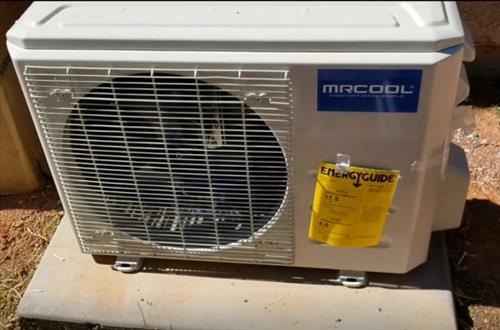 MRCOOL line-sets are already in a vacuum and have a seal that is broken when bolted onto the outside condenser. 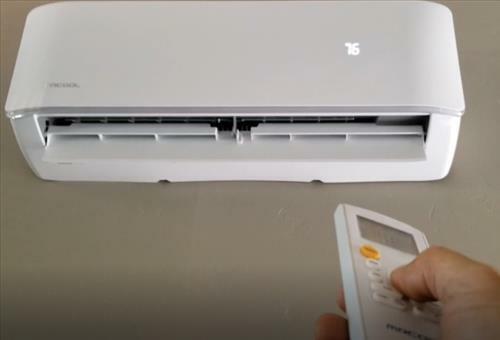 They have a seal that opens once the line-set is tightened on the outside condensing unit. 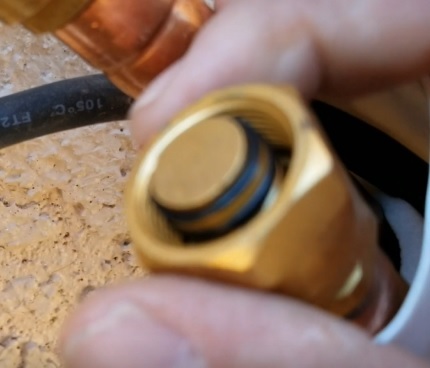 This makes it much easier to install since there is no need to vacuum / pump down the system. 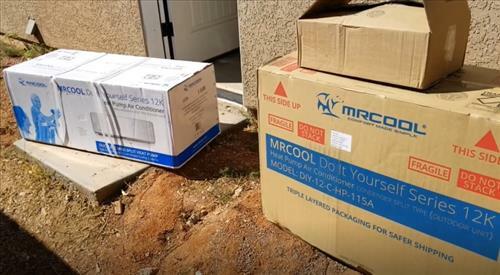 All the parts come in three boxes except for the AC electrical which needs to be bought separate. The boxes come with everything needed for the setup including the inside wall unit, outside condenser, line set, wrenches, and hole saw. Things not included is electrical, mounting pad, and line-set cover which need to be bought separately if needed. Like all mini-split kits, the electrical is not included and needs to be bought separately. Every electrical setup will be different since the location of the unit and power always changes. 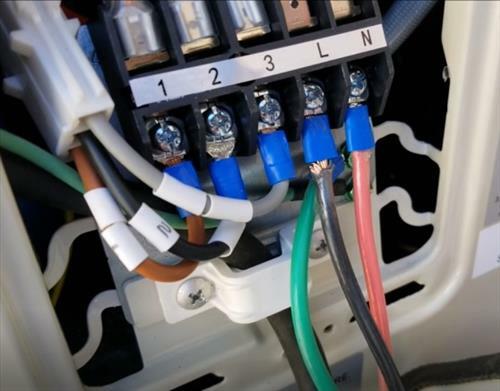 If you have no idea how to wire the unit be sure to call a professional. The unit will need 115 Volts with a 20 Amp breaker. This is a common voltage/amps for rooms and garages. Of course, running its own breaker to a panel is ideal and the best option when possible. I decided to tie into the existing wiring in the garage I install the unit in which has a 20 Amp breaker. I installed a disconnect to run power to the unit. I also have 240-volt outlet in my garage so wont need to pull much of any more amperage from the 115 outlets. Of course I can always run a dedicated line later if there is a problem. The steps below are how I installed a MRCOOL Mini Split. Be sure to follow the instructions that come with your unit. 1… The first step is to layout where the inside and outside unit will be located. A 3 1/2 inch hole will be drilled through the wall to run the refrigerant line-set and control wires. Also, the AC wiring must be thought out for the best way to get power to the unit. 2… Once the location is known the wall bracket needs to be leveled and mounted on the wall. This will hold the inside unit so be sure to mount it on some good studs. A template is included in the kit to mark out and drill the 3 1/2 inch hole. A hole saw is also included to drill out the hole once marked. First, run the line-set and control wires out the hole and the inside unit will clip onto the bracket. The line-set is 25 feet so most of it can be fed out the hole before picking the inside unit up. 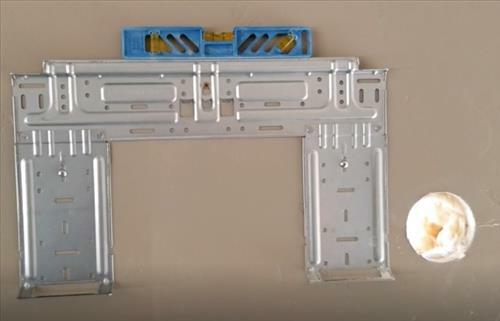 The inside unit will clip on to the bracket. If possible it would be best to have two people when setting the inside unit. 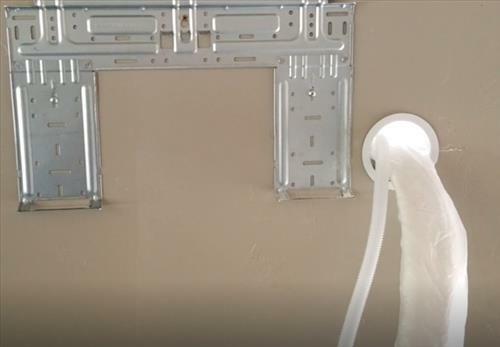 I placed the unit on my own and it is not hard but pushing the last of the line-set through the wall and clipping it into place would be much easier with two people. 4… The outside condensing unit will need a solid flat surface to sit on. 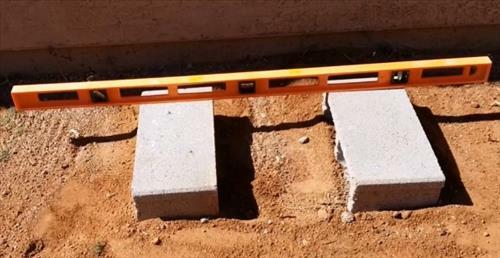 This can be done with a small cement pad, store-bought pad, or with bricks. I decided to use bricks but any method will work as long as it is solid and level. Here is a Pad On Amazon that also looks and works well. 5… The 2 refrigerant lines need to be bolted onto the outside unit. Be sure to read the instruction manual for the steps. Basically, the lines are hand started then tightened with the two crescent wrenches which are included in the kit. 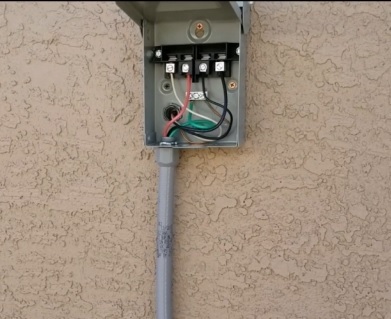 6… The outside unit will need to be wired for power and the wires from the indoor unit. It uses 115 volts on a 20 Amp breaker which go to the labels “L” and “N”. The inside unit has a wire clip that runs with the line-set that simply snaps together. Of course be sure to call a professional if needed. 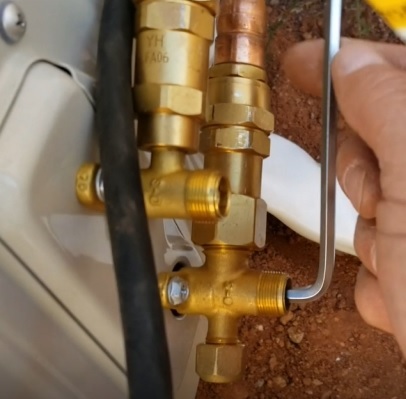 7… The last step is to let the refrigerant loose into the system with the Allan key. 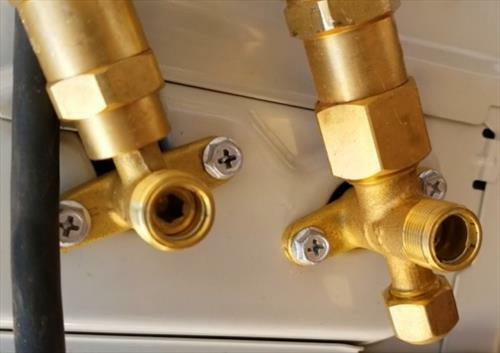 There are two valves that let the refrigerant loose on both the high and low-pressure lines. They will turn counter-clockwise and need several turns to fully open. 8… After double checking everything is correct power can be turned on and the unit tested. 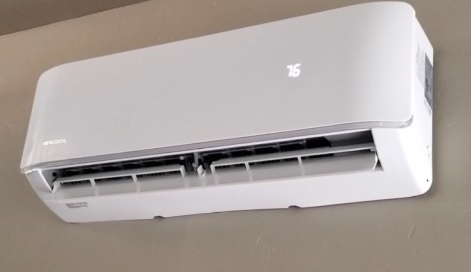 Installing the MRCOOL DIY Ductless Mini-Split is not hard for a handy person and a great way to save money. It is a great way to add heating and cooling to a garage, room addition, trailer or any place it is needed. Of course, if you have any doubts be sure to call a HVAC tech. 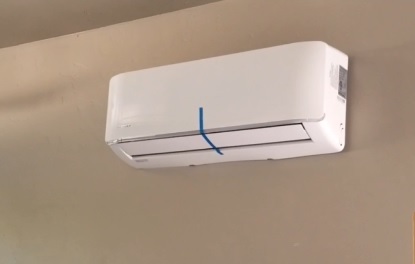 I was able to install the unit within 4-5 hours but I have installed many mini-split units. It would be best to plan the install over 2 days along with a helper if possible. Testing the unit it is working very well both heating and cooling. I am sure it will work very well in the garage. It also has WiFi built-in which I haven’t tried out yet but plan to do so soon and will write a post on it when I do. I covered the line-set with a cover kit to clean it up and make it look good. While tape can be used to hold it all together line-set cover kits are low-cost items that make it look professional and what I use. Did you bolt down the exterior unit to the brick or is freestanding on the brick? No it just sits on the bricks. It doesn’t move or vibrate. Do you have a PDF of the template? Sorry I just have the cardboard template the unit came with. Hi, thank you for this helpful post ! 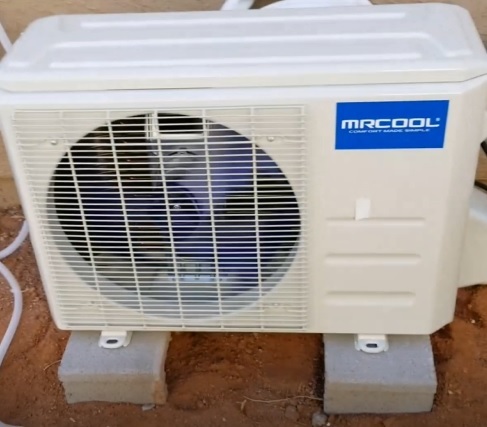 We are thinking about installing a MRCOOL unit and wondering how well the unit heats, especially in low outdoor temperatures ? Does it shut off if the temperatures drop below 25 for example. It worked well over the winter with temps down to about 15 degrees. I’m not sure what the low temperature it is rated for.